ok so I've been slacking on my vocal training due to being extremely busy in college. Here is the latest singing I've been able to get done. I'm sure there is much improvement that is needed, but I'm pretty satisfied with it. This is pretty good. Your voice is interesting, it's on pitch, and it's a decent song. I think you did a good job. Thanks, my friend Nick wrote the song but I've always liked it. I'm wanting to perform more songs like this and try and maybe start pursuing it as a full time hobby outside of my career field. Next time, please have the backing track low in the background for reference. Acapella demos could be off-pitch, or down a few notes, so we need to hear a little bit of backing track for reference. So, the sound of your voice is good. I like it. There are some very, very minor melody differences if you want to do exactly what Paul Rodgers is doing in the clip you sent me. This is no big deal, but if you want to be even closer, here are the differences. First line. Word "mama". You do Ma Ma. Paul goes Ma Ma and slides back up to D4 at the end of the syllable. Paul does a little bend-down on "I'm"
on "The door" you hold the same note and then slide down to G.
Paul goes The door with a slide-up on door. Paul sings a nice bend-up-bend-down on "tear"
These are very small differences that are part of Paul Rodger's style. He may not even bend these notes in these places when he sings this song now. He may have gotten bored with this exact variation on the melody. BUT if you will learn where he bends his notes and bend them like he does, you will sound more authentically like Paul Rodgers, even though your vocal texture is your own. You DO sound good on this. If you hadn't provided me with a copy of the song with the music down low, I probably wouldn't have been able to pick out the differences nearly as closely as I am here. There is NOTHING WRONG with the way you did it. It's not flat, it's not sharp, your voice sounds good, even your support is not a problem. It's all good. But you can see how closely you need to look at each line of every song if you really want to try to capture the flavor of the original artist. Since our voices will sound different anyway, you may want to get the details that you CAN copy as exact as possible, just to help pull you into the Paul Rodgers zone or whomever you are covering. So I have to say GOOD JOB for all the work you've put into the exercises. Your singing is good. If you want to go that much further, you could go into detail like this and really copy his melodic nuances. I don't have time to go through the entire song, but this is what I do with songs like this. I take a lyric sheet and make marks and symbols that show me where bend-downs and bend-ups and things like that are, and I practice doing them. After using the sheet for a while, I memorize all of the stylistic runs and trills that help to spice the song up. Then I don't need my cheat sheet anymore. It's training wheels, even though you can say I'm cheating. At first, tricky melodic bends can be hard to completely do from memory. Here is a copy of a melody map I posted a long time ago. This is how I teach myself runs and trills in a song. I just use lines that represent relative pitch. That's close enough for me to be able to recall exactly how the melody goes. If it's trickier, I might write the actual notes in. I've been asked why I just don't use sheet music. I think this is a lot simpler and quicker. I just need the lyrics and the vocal runs. Feel free to judge me, I know it is far from the best, but I keep practise. Yes, we have to really listen closely to zero-in on some of the fine details to help us get closer to the original artist's performance. Our own spin on it will happen automatically, as we'll never get it exactly the same, due to our individual physical differences. That's what makes the world go 'round. Paul Rodgers is no slouch. I'd trade voices with him any day. He is a good singer to emulate. Don't beat yourself up on the sound or range of your voice. I was pleased to hear your tone and your pitch accuracy, and how close you were to the original. Since the sample you sent me of Paul Rodgers had the music suppressed, it was easy for me to hear what he was doing. I learned a little bit about his style in doing so. He's good. Your voice sounds good. Improvements could be made by increasing support, and a little brighter tone. Also, letting some of the sound come out up above, through the mask, would help put a little bit of ring and ping into your tone. Listen to Ken's "It's the Lah!!! AHH!!!" tone and ping. You want more of that in the sound. I'm hearing improvements in your voice over your previous demos. A little more compression and support will help you to get more consistency and stability in your voice. It would be better if there was just a bit of backing track there to reference for pitch. Sounds good, Robby. Nice tone, good support. Your other file wasn't there, the Led Zeppelin song in the lower key. I didn't see that when it was first posted, for some reason. Nice tone on your voice, but the microwave was a little off-beat. Nice touch at the end with the cockatoo, right on cue. I'm not familiar with it. Is there a link to a recording of a full version? I really think your clip sounds good just the way it is. I appreciate hearing the Kurt Cobain original, that gives me a frame of reference, as I had not heard that song before. The melody is very different, so it helped to verify that you were doing it right. I say keep up the good work. That song is good the way you are doing it. There's really nothing to pick apart. It's good, to my ears, and I can be really picky. I gave my comments on that particular clip. It sounded good, as-is. Examples of a Lah scale are better for evaluation of how your application of the techniques is coming along. Every different song by every artist has a lot of subjective things that introduce variables. If there is something obvious that I can point out in an artist's song, then I will, but I certainly know what I'm looking for in the KTVA exercises, and that is what will grow your voice. This newer clip also needs some backing track in it. Otherwise I have no reference to your pitch. Because your notes slide, they sound flat at first, but that's because there is no reference track. A bigger chunk of a song would be better, with backing tracks. Still, if you do a decent job on it, if it's supported, on pitch, etc. has good tone, then it's good. Then it's "good job". Your singing voice is improving. Keep working on it, and it will continue to improve. If I hear something that I think you need to improve, I will definitely let you know. You're on a good track. There is no reason for in me to be critical about something that sounds fine to my ears. I think you are on the right track. Be confident in that. I wouldn't say that if I didn't think it was true. Sounds good, Robby. Everything's on pitch. A little more support wouldn't hurt. It's a little airy, but that's probably appropriate for this song. Yes. More support and more cord closure will reduce the breathiness and put a little more chesty tone in your voice. You're getting there. And that's T-Bird, Sounds great man. I'm a big Tom Petty fan and didn't realize how up there is his in a lot of his early albums. I dig it, he did this one for the superbowl half time show. One of the best shows in the last decade if you ask me. Love it this song. Feels like the "Meh" could be a bit brighter, a touch of that ping sound. Hi all! I'm new and just about to start the Ken Tamplin Programme. I thought it would be good to post a link to a soundcloud song of mine to get some analysis before I start the programme and also as a sort of milestone as to where I am now for comparison later. So here I am singing Halestorm's Break In a couple of months ago. Some unbiased critique would be massively welcomed!! Thanks Norris! Hoping for lots of improvement now I've started the programme however! Literally all my life. Started in musical theatre before moving on to Rock/Pop. No official training. Lots of different training programmes but none have really suited me. Stoked about trying this programme! Just about to make the biggest career change in my life. Teacher to full time singer in a band. Hope I'm making the right choice! I'm all about 80s Rock. Steve Perry from Journey is my singing inspiration! Also love Alterbridge, Def Lepard, Phil Collins, Halestorm, ACDC, Van Halen, Bon Jovi, Whitesnake, Heart, Toto, the list goes on! What about you? What's your singing story? @Fenderjedi: Nice job! I can't wait to hear you after a while on this program, frankly. I also enjoyed listening to "Someone like you". Only think I can comment on is that it seemed that you may have had your record volume just a touch too high, as it seemed like I could hear some distortion on the really higher/louder notes. It sounded that way anyways. Really nice job! Looking forward to hearing many more! Thanks! Someone Like You is actually me and my sister singing. We have very similar voices! Yes, I'm not a great 'sound engineer'!!! The track does distort at times. @Fenderjedi: I thought maybe it was a sister... I saw a similar name to yours on the track description. It also sounded like you overdubbed yourself or your sister doing some harmony... or someone else? Nice job if it was one of you two. Some folks have a hard time doing harmony on a song they normally sing melody to. I've done that a few times myself to get more vocal depth on a song when I'm only singing it by myself. In addition to the band, I host Karaoke nights and sing often at open mics for fun, and I've found over the last 10 years that there are many people who "follow" the lead singer, no matter what they're singing! If you try to sing harmony with them when they're singing melody, they'll "slide over" into the harmony with you... put them back on track with melody, and they'll do it again as soon as you sing harmony again... It's really interesting how this happens with some people. That's really, really good mate. It's hard to spot the difference between that and the original. My only critiques would be that you trail off pitch (fall off) at the very last .00001 second of some phrases but they all start out really strong. Also remember EE only turns into Eh when you start to close down/feel tension. So 'Me' doesn't have to 'Meh' all the time. Tom Petty does that froggy sound that Bob Dylan has. It's a stylistic thing but it's due to a raised larynx which you want to avoid 99 percent of the time. As long as you're doing for effect and aren't trapped there, it's all good though. This track is totally better for evaluation than any of the ones without backing tracks. A solo voice track is almost meaningless without a reference like this. Solo vocal tracks are OK when added as an addition in case someone wants to double-check a spot, but the backing track is important for referencing pitch. Your recording mix is also at a great level for hearing your voice very clearly above the music. As streeter pointed out, "meh" is only an Eb4-D4 bend, and not high enough to need to be modified from ME to Meh. I'd like to know if I'm approaching the exercise correctly? I'm stretching chest voice at the moment so desperately trying to stay in that placement. I think I sound like I'm straining, too much air. Bit of a sore throat now also. In hindsight, I should have gone easier. Less volume... but I find with less volume I end up transitioning in to mix or head voice. Don't go easy on me. Tell me straight!!! You are doing a good job of keeping a nice, bright, very AH sound throughout. On the very first complete scale (G#), at 00:3 the top note (G#) is a closer to G than to G#. Same on the next scale where you should go from A up to an A an octave above, you go from A up to a G#. These are octave scales, so the top note should always be one full octave above the bottom note. I think it's a case of not having the melody clearly in your mind when you start out down low, rather than simply singing a half-note flat. On the Bb scale the same thing happens. A is your top note but it should be Bb. On the B scale you correct that issue and sing from B up to an octave above B correctly. Now you've got the proper melody and intervals of the scale. The C scale is close, but coming down the scale isn't quite accurate. C# and D scales are pretty accurate. D# scale a little rough on the way up. E scale is pretty good. Your top notes start to lose resiliency up top around the F. It's slight there, but you need to be going to the O or Aw as in Loft vowel modification by there on your top-end notes. The breakup is a little more apparent on the top F#. By G up top you probably should be at your oo as in hook. You are modifying a little bit naturally, but you can help it along, and work to keep those notes from breaking up by using your vowel modifications. Somewhere in there, probably at A up top you should be at full Ooh, for A, Bb, and B up top. The mods are reshaping of the vocal tract in the back of the throat. Your face is still making an AH, not an Aw, oo, or Ooh shape. Those note locations are estimates, and all the way to B may be too far for you right now in full chest. You're quite close, but we want you to stretch, not strain. So baby steps are OK. You also need to learn to use support better. You will need to increase your support dynamically, pushing down on your insides more as you get higher in the scales. By the time you reach those notes that need modifications, you need to be really pushing down, the higher you go. That support will help you to reduce the air pressure you are applying to your vocal cords, and to make it a smaller stream of air, as well. You can't muscle those notes in your throat. You muscle those notes down in your gut, instead. You gradually shed chest weight as you ascend in pitch. Coming back down from the top scales is about the same as going up, except that your voice is worn from forcing those top notes. You are also mostly on the correct pitches for the top notes instead of singing a half-step lower when the scales are on their way down. Going back to the vowel modifications, those will be gradually shading from AH, to Aw, to oo, to Ooh. Think of it as gradual. Each successive note gradually shades a bit towards the next mod. So between the top E and F you begin to shade from AH towards "O" or Aw as in Loft. No sooner are you centered in Aw at about F# or G than you begin shading towards oo, and so it goes as you shade towards Ooh. Ooh is going to be pretty close to a head voice sound, with most of the chest voice sound shed, but still a skoshe of chest still there. It's subtle, but helps you to get there. You need to work on being able to throttle back the air pressure for those top notes, or you may strain your voice. Think of those really high notes as being easier, and don't push at the throat. Push at holding back the pressure by pressing down at the diaphragm. It's OK to even stop the scales a little lower, and give your voice a chance to adapt to this workload more gradually. This is going to involve some muscular growth and some development of finesse. I think you will do well with this, once you get the hang of it, and the results will be MONSTER. Give yourself some time, and start digesting and implementing these concepts. Stretching the chest voice is something that is tempting to rush, but it just takes time. It's a very athletic challenge, so think of it in terms of something your body and mind need some time to figure out how to get to. Do make a conscious effort to support your notes, and vary that support as more is needed. This may be a little unsettling to strip away all of the things that allow us to reveal the core of our voice, but this is where we build the foundation for great singing. When you get the little quirks worked out at the elemental level, with the basic core vowels, we are laying a solid foundation upon which to build a voice that will last for years to come, one that will grow and grow. Upon that, layer, by layer, we will add technique that will build a world-class voice upon a solid foundation of the basic vowels and how to take those vowels to the top of our chest voice capability. After that, we have head voice and an extended mix to work with after the foundation has been properly built and strengthened. Don't take any of this as bad news. It's all a new frontier, ready and waiting to be improved and perfected. When you get to the point where you know all of this like the back of your hand, you will look back on this and be really glad you learned what you will know by then. All the best, and thanks for being open about wanting to hear how to approach this. @Fenderjedi: I remember the first few times I did the exercises, felt the same way as you described. I was straining to get to the high notes. I backed off a bit (on both volume and skipped a few of the really high notes) for a while, until I was comfortable getting up there more easily. I then worked my way up higher, with less air, less volume (softer), and one day it just seemed to start getting better/easier to get to the top. Now, when I practice those scales (4 months later, of 5-7 nights practice a week), I sometimes go all the way to the top w/o going into mixed/head voice, and don't even realize I'm at the top of the scale, and start coming down! Give it time, DON'T strain, go as light as you can, and stick with it. That's really good for a first attempt. Your tone is pretty bright but really push for that bright ping... to the point where you think it sounds almost toooooooo bright (Don't go nasal though) cut back the air maybe a little bit more. There are a few pitch issues but I don't think you will have any trouble correcting them... IMO, it's relating back to that brightness issue because it was mainly in the lower register. THE BIG THING IS THIS... DON'T over sing. I did this too because I wanted that Coverdale/Bon Jovi sound straight away. Think control and finesse first then add the weight when it becomes easy. It can take a while but trust me... it will get there... Judging by what you have going for you already, you'll probably get there faster than most. My 2 big revelations came when I had a cold and was forced to hold back. I could still get the timbre I was looking for but without blowing myself out and overdoing the volume. The second one was from watching Steve Perry sing live on Youtube. Even on the BIG notes, his Mic isn't that far away from him. Same with Ken and his demo's. The Tone is Huge but the Volume isn't ridiculous. The Tone carries the note, not the forced volume. Cut Back the volume but keep that throat nice open. Almost like you are 'drinking the sound' rather than pushing it out. Sounds good. I think there is sufficient support. Nice tone. Good vocal tone for this song. Sounds a lot like Lennon. I don't think the vibrato is over the top. It fits the song. I would soften the extra "h" in "I just had to la-haugh" and "I saw the photogra- haph" and try to make them "little h's". You can do that by making it more contiguous there, instead of pausing. Lennon doesn't stop the tone as much as you do there. Yours stops the tone, and restarts the tone with an "h", where his is more of a bring the volume down very low (without really stopping) and bringing it back up. Not to say yours sounds all that bad at that point, but that's why your "h" is more abrupt and noticeable at those points. The vibrato on "Lords" is too much, but the rest of the clip is OK as far as vibrato in my opinion. Also you are punching it out too forcefully on "Lords" for the character of this song. Its a G4, which is a troublesome note for many, but it is sung in head voice on the record. You will also notice on the original that it's overdubbed on that note, so John probably had trouble doing it perfectly every time, too. It sounds like doubling or tripling unison notes. Obviously not done in one take. I've read accounts of the "making of" this song, and it was a crazy patchwork, as they did it on a 4-track tape machine, and had little room for error. One bad punch-in by the engineer and you could mess up something that had been worked on for weeks. It was a two different songs glommed together, but became a masterpiece. You probably need to practice that note on "Lords", pulling back the air and finding a way to sing it without having to belt it. It becomes incongruous when you sing the whole song very lightly and end on a belting note. That line will work better if you can finesse your way to the G4, more closely matching the tone of the previous lines. If you listen to "Lords" (on the Beatles version) it has NO vibrato, and sounds more like "house of LAHHHH". I thought that was interesting. Probably "house of Lahhhhhh-ds" would be good. The "Nobody was really sure..." part is B3-A3, singing in a light chest. "OF" is an E4 and is your only note to get ready for the G4. So you should probably be in head voice on "OF" which will set you up to already be in head for the G4. Yes, we should be able to sing a G4 in chest, but only when it's appropriate. You might even be able to do a soft G4 in chest, but it wouldn't sound at all like what Lennon was doing on the song. Good job. Almost got "Lords" softened down and blended-in enough. Very good on modifying the way you did photograph and Laugh. Better but needs more work on photograph and laugh. Oh boy should be ohhh boyy. Great sounding voice. Keep it up! Good song choice for your voice! Pretty good, too. Only 2 owies, both on the same word. Let's GET. Get at 0:52 and a little bit also on Get at 3:13. Just a skoshe flat. Just a skoshe, actually pretty close. If you just practice nailing "GET" at those two spots, you will pretty much NAIL the song. I like that you are having fun with it, even with the camera rolling, ad libbing and enjoying the ride. That makes it fun to watch and listen to. You are going to be a hit at the Karaoke bar when you practice nailing a couple of songs like this! You Rock, Dude! Tom Petty kaulfers! @Kaulfers: This is definitely your best one so far, IMO. Pitch is much better on this. Maybe it was the version, however it sounded like you switched into harmony on the chorus part: "So let's get, to the point..." Maybe you mean to do that, maybe not. But you were pretty much on pitch, still, aside from Bob's aforementioned notes. It sounded like you kind of "followed" the harmony backing tracks there. I think he's singing a G# and you're singing a B on "get", which is one of the harmony parts. If that's what you were going for, then great! Nice job, nice improvements in your pitch, and your tone is nice! Hey Kaulfers, You definitely got Tom's style down dude. One of my favorites of his that isn't high up there. Thank you. Sweet, I'll GET to touching up that part. Thank you Bob. I'd like to say I did what I did on purpose as far as which part I was synced up with but that isn't the case just yet. This sounds like the tone could be brighter on the lower parts. A little more support would help. Your pitch is good. I'm not familiar with this tune, so I don't have a lot more information. I'm sorry, @Keniel, but the video does not work, and I can't tell what you are saying is disappearing. To go back to a light sound, you reduce air pressure, but allow a little more air into the sound. Are you a KTVA student? I could tell you more about your voice if you put up a demo of you doing a KTVA exercise, rather than random snippets of songs. You should upgrade your forums membership, so you can see the rest of the forum. and mention your username Keniel. There are training videos here for students and more information about singing that you should access. Hello all, this is my first day. I have not undergone any of the exercises yet. Here is a demo from a few days ago - hoping to get some pointers about what to focus on/be aware of as I start the training. Thank you! The most striking thing about the way you have been trained so far is that you are lacking support. Somehow your other courses did not emphasize or even teach it. Really pay attention to what Ken says about support. Also, get your forums status upgraded as soon as you can. There are a lot of articles on support and other important KTVA principles that you can't see with your "member" status. You will learn a lot here, and your goal of gaining more power and stamina will be realized if you follow Ken's instructions and practice diligently. All that Ken teaches you about the moving targets is true. It may seem like a lot of minor details, but they all combine together to form the basis for good singing technique. You are on the way to your goals. Thanks. I look forward to experiencing the course. I have just started the singing program, and I am really looking forward to improvements. Here is me singing Gravity from Sara Bareilles. I hope to hear your comments and suggestions. Thank you very much. I just requested a forum upgrade....I didn't know I had to. You have been upgraded to PRO. Your demo sounds very nice. You are at a good point to build from. Learn all you can about breath support and the bright sound with cord closure. Do the exercises in the program diligently, and your voice will grow and grow. I will be excited to hear your voice as you gain more strength, power, and range. Here I am, a little over 6 months in, on Volume 2, and still struggling. I'm struggling with whether or not I have gotten that "ping" sound, whether my tongue is moving around too much, pitch, etc. Having a bummer day, because it feels like I'm not progressing, or even perhaps regressing. Your tone isn't too bad. It could be a little brighter. I think you need to focus on the pressing down on the high notes, to support more. Most of the pitch issues are happening on the high notes when you should be pushing down (towards the floor) with the diaphragm. The other issue is that you are going into head voice, but when you do, you are not connecting without the speed bump. You will need to focus on that for a while, dropping the volume very low and practicing going from chest into head voice and then back the other way when you come back down, without the sudden snap. You have to blend more and that has to be learned at a very low volume. You will need to take the volume down to an almost ridiculously low volume to try to shift from chest to head and then back to chest without the yodel. If that's too low, then add just a tiny bit of more volume. Eventually you will find the spot where the air pressures of chest voice (quietly) and head voice are the least different. Stay there and work on shifting between the two configurations back and forth, easing from one to the other and back, and find the optimum volume and air pressure where you don't clunk from one setup to the other. It's subtle, and you'll have to experiment and find it for yourself. Once you find that sweet spot, you can learn to get from chest to head and back without yodelling. Focus on that feeling and learn it. Then you will be in a position to very gradually add a little more volume, just a little at a time. Eventually you can sing normally at any volume and carry those coordinations you learned at low volume to blend from chest to head and back to chest without a yodel and without dropping the volume. As you are building the volume back, remember to sing entire scales only at the volume at which you can get through your passaggio without the vocal break. You don't want to sing loud, then get quiet to sing through the passaggio, then get loud again. You want to keep the entire scale at one volume and get through without the break. Do make an effort to keep the throat open, especially at the passaggio. It's hardest to do at that point, that's why I'm mentioning it. Just have faith. You will get this. Your voice is sounding good below and above the passaggio. Once you get that issue under your belt, you will be making good progress. Support is something we all need to learn and implement. It will help to stabilize your pitch, improve your tone, and overall give you a feeling of control over your voice. I don't think your tongue is giving you too much trouble. It moves around a little, but you seem to be getting it to behave for the most part. We all hit plateaus and sometimes have that feeling that we're moving backwards. That usually turns out to be right before we have another "AHA" moment. Sounds pretty good. If you want to get a little more "Jim Morrison" sound on that song, you may want to drop your larynx just a bit (not too much) to get a little deeper baritone sound happening. Likewise, you can really open up the back of the throat and get a nice, full, deep sound, while still going for that bright ping of good cord closure with emphasis on brightness. Hello, I'm new to KTVA. I'm from Chile, I speak Spanish. Hello, @BruceKiske! We have some other students in Chile, as well. Sounds like one thing that would help you is to work a bit on your breath support. Hello again, another small job, I need to know things i must to improve please. How does one post a demo here? Do I need to be upgraded to be able to post a link? Thanks. If you can post a posting, you can post a link. IF your link doesn't show up when you click "Post Comment" then you need to post the link two times in your posting. It's just a quirk of this site that hosts this forum. I usually post the link twice, once, hit enter, and then again right below it. If I get two, then I delete the second one. Your voice has improved so much in the past year! It has become really pleasant to listen to. I mean Really nice. You aren't struggling anymore. It makes me happy to hear you. You've crossed the line between struggle and soaring. Thanks @highmtn. OK, here is a starting sample of me. I'm singing over the album track, but you can't really hear the original voice (this is U2's "Every Breaking Wave"). I have been doing the program now for a few months when I had time, but more seriously (more frequently) for a couple of weeks. Any and all advice/tips are appreciated. I can tell I am off-pitch at the beginning (too high, I think? ), but I don't know what to do to fix that. Like I posted earlier, I am a lead guitar player, but I would like to write my own songs and sing on them. Please let me know if I should just stick to guitar, or if there is any potential here. Thanks! P.S. : How are people embedding Soundcloud so nicely? If I just post the link, it gives some weird error, and if I try embedding, it turns out like above. This is better on the support than your previous demo. You still need more support on the A4's. That will help you to be a little better in tune on those notes. A4's require a lot support and restraint. Good job on the D5, you had that one in check. Try to lighten up a little bit on your consonants, and rely more on keeping the open throat happening as much as possible. Consonants shut down the vocal tract and cause you to have to constantly re-open the vocal tract. That's why Ken tells us to minimize consonants. Try to keep the vocal tract wide open as much as possible. @boombah, I think it may depend on what browser you are using regarding embedding SoundCloud. Windows Explorer doesn't help much and often has the problem with needing to post links twice. Chrome seems to work well with embedding. Others may have better experience with some other browsers, but I think that's often the difference when someone is having problems with the performance of the site. I just listened to your demo. Right out of the gate, I can tell you that you need to learn support and your pitch is wandering. Another thing I will share with you is that Bono is a terrific singer, and trying to do a first demo doing a U2 song is going to be really difficult. I recommend that instead of posting songs, you post the basic LAH exercise and we start out working on your most basic building blocks. If you don't have the basics right, then nothing will be right when you go to songs. You should do and practice the exercises on Ken's Basic Pitch program. Even singers with very good pitch may find that they have some work to do in this department. It's well worth the time and effort to invest in your pitch discernment skills. Some students need to focus on this alone as their main goal to begin with. Without pitch, you will not be able to pull songs off, much less correct scales. You have very unstable air control. You need to implement support to cut back on excess air, and to give more tone and stability to your voice. Stable support is an element that also affects pitch. Without stable support, your pitch may wobble and your notes may seem uncertain. It's because you don't know what to do with your air. These are two HUGE elements, that if you tackle them your voice will take a huge leap forward. If you don't tackle these items, you will remain in the uncertain, unstable area that you are presently in. I do recommend that you conquer these two moving targets. I can hear your voice and I can picture what you will sound like with stable support and stable pitch. That's worth working for. If you want to sing, you should go for it. No sense in trying to learn to sing without support or without accurate pitch. How about it? Get started on Basic Pitch, then Post your next demo of you doing the basic Lah scale and let's go forward from there. Yes, there is potential there. Become a lead singing guitar player. You'll be glad you did. Thanks so much for all the tips, Bob! I will go ahead and do that. I would really love to be able to sing-- it's tiring trying to always find a singer who likes the same music as I do. I'll work on the Basic Pitch program for a while and come back with a post of "lah." Thanks again! Hey Bob-- will it be enough to post an audio recording of me doing the "lah" exercise, or would you want to see video? Thanks! The audio will help, but it's more helpful if you do post a video, and stand where we can see you from just below the waist up to the top of your head. P.S.-- I sent you a message on Google Plus (Google Hangouts). I have to sit when I sing, because I'm a drummer (not in a marching band, either). So it's not really BAD that you sit, especially if you're tired, but it is BETTER to stand, because it's harder to support properly when you sit. So please stand for your demo, so at least you won't have to work any harder to support your voice, due to the sitting. I just looked at Google + hangouts and didn't see any messages from anyone. Hey Bob, that's strange... Well I just sent you a private message on here. Thanks. Hello, this is really terrible, and I did it on a whim (don't we all? We all need our excuses, haha) without warming up. I dislike the sound of my voice but would like a third person opinion. Been on volume 2 for months now. Probably going to upload some track videos to show my progress and dip my toes into volume 3. I've been doing the course almost 3 months, I'm on Volume 3 now. Some things I'm wondering about is, it's hard to tell if I'm in the right key and not sure if I should be holding my breath on these verses because it seems to sound better when I don't. When I clicked on you link it said there were no sound files there. "Elementom hasn’t shared any sounds yet." was the message. If you have purchased a KTVA product, you should apply to have a forums upgrade so that you can access the student areas of the KTVA forums. To do that, Copy and paste into an email to [email protected] a copy of your KTVA purchase receipt(s). Include your username here on the forums, and mention that you are requesting a forums upgrade. You're only seeing the tip of the iceberg in the public area of the forums. There is a lot of information available to KTVA Volume and PRO Bundle students. It might be because the track was private, I just made it public. I actually applied glottal compression more on this second version and it made a big difference, sometimes it's hard to tell if it's fully being applied. Thanks for the tip on the upgrade. I've been looking for those videos on pitch and couldn't find them. For everyone having trouble with soundcloud player, this just worked when I hit share under the track, copy and paste that link and then PREVIEW your post first then post it, make sure your track is not private. The melody part that happens at 240 and 253 is consistently off pitch, each time that portion comes in the song. Would you be willing to post a basic LAH scale so we can see how you do in a controlled singing environment to help get you on track? You may be having some issues discerning pitch as you sing. Have you worked the Basic Pitch Program? I learned a bit from that, and you might, as well. @Elementom, there are some apps that you can use for real time feedback of pitch I.e. They play a scale into your earphones for you to sing with and the app listens to your accuracy. I'm not sure whether I'd be breaching forum rules if I stated the one I use as it may be seen as advertising ... Bob (@highmtn)? Usually notes are shown on the screen while being played into your headphones. 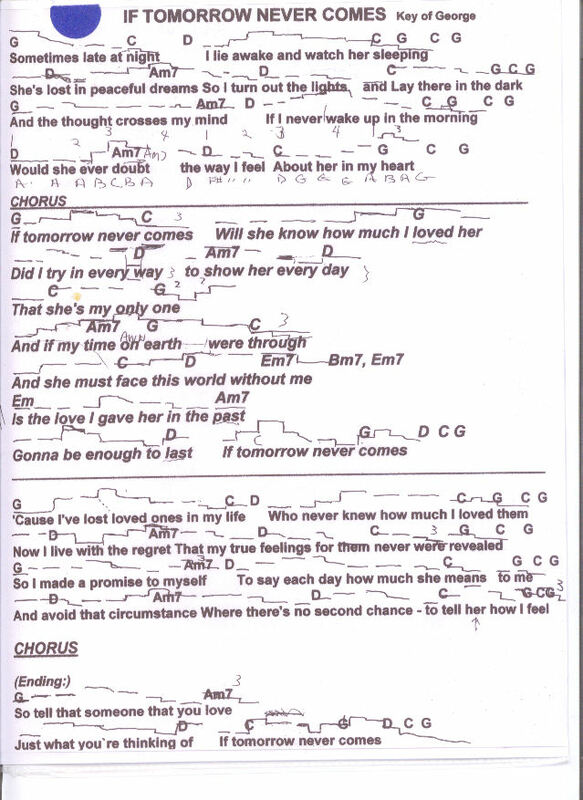 You sing along to the notes and a squiggly line appears showing what you are actually singing (in real time). It's been a great help for me. My family has commented on how "in tune" I'm beginning to sound. The app I use costs a few dollars and is available for IOS only. I guess I am a dramatic Tenor, I know I am off pitch and I haven't memorized the entire vocal melody and the lyrics yet. This is the result of 2.5 months of inconsequent work on KTVA since I recently found a place to practice. My first passagio is at C4#-D4 my 2nd is at F4#, any idea if I can push the 2nd one further? is that what you call stretching chest voice? Thanks for asking, Rob. Yes, you can mention the vocal tuning app. Yes, you can gradually raise your F#4 Call Voice limitation, and that IS what is meant by Stretching Chest Voice. It's very slow-going, but by gently and persistently trying to avoid slipping into head voice and going on up to G4, G#4, etc. you will eventually be able to stretch that up to A4 or higher, if you keep at it long enough. Ideally you will keep trying and succeeding, a little at a time, until you make it up to about C5 or so. Your Primo Passaggio may also move up a notch or two. In future demos, if you have a means to do so, it would be helpful to hear a little bit of backing track (Music accompaniment) behind your voice, as a pitch reference. We still want to hear your voice predominantly, but a light music track will help us to hear how close your pitch is to the reference track. Good job of putting your voice out there. @highmtn the iOS app I use for checking my pitch accuracy during arpeggio exercises is EROL Singers Studio. Rob. Thanks, @stratman, and thanks for asking first. @stratman I use pitchlab on my android devices. sample of my voice we`ll see where can KTVA bring me..
Not bad for day one. This will be something to look back and compare in a few months. Do your workouts and review Ken's instructions in the videos. With practice and time for growth, you will improve. @highmtn yeah i will upload again after 1 month.. thank you always! Thanks @stratman, I'll try that. Thanks @highmtn. After listening to the original songs with headphones, I realized I was over singing, which is really throwing my pitch off. So I'm practicing singing a lot softer and looking for that resonance, channeling the sound into the mask instead of pushing. The course also helps you hear better, which is really important. I notice when Ken is evaluating someone he hears the slightest imperfections. I have a new question! Still trying to find a time of day when I can consistently practice... I was wondering, would it be OK to practice (i.e. go through Ken's warmup) first thing in the morning in the shower (I take long showers)? I remember reading somewhere (or maybe hearing from Ken) that afternoon is the best time... but I'm at work then, and by the time I get home, I'm often too tired. So, I was just wondering what the reasons might be to not do it first thing in the morning (or for that matter, in a warm shower), or if it's OK. Thanks! Some of your scales are not on pitch. The recording is difficult to hear much detail, as the sound is garbled and sounds almost like it's underwater. It's also difficult to separate the sound of Ken's voice from yours to hear your voice. It's helpful if your voice is in one side of the stereo and Ken's is in the other, although you may not have the setup to be able to do that. On some scales you are on pitch, and on others you are at some other pitch than the pitch of that particular scale. In many scales you are on-pitch at the bottom and off pitch at the top of the scale, usually not going as high as the scale calls for at the top. From about 1:14 you are tracking along correctly, hitting most of the notes right. Listen to your own scale, and hear the difference in pitch accuracy for the scale up to and then after 1:14. Can you hear the difference? What were you doing differently in the two sections? Perhaps it's because after 1:14 you were past the high parts and getting down into a more comfortable range. On "I Am The Highway" you start out in pitch until 1:19 at "not" and there you are off until 1:23, and off again at 1:30 (on "Not" again) and back on pitch at 1:34. Off again at 1:36. At 1:52 you're OK again. The song continues pretty much like that throughout. On that word "Not" , I believe it's supposed to be an E. You are singing an E-flat every time. That won't work. You have to sing the right note. You may have to go through a song or a scale note-by-note when it's not right and figure out why it's not right and what you need to do to correct that. Same thing in the scales. You have to listen to the sound you are making and if it's not right, you have to correct it. If you don't listen, then you won't hear it, and you'll keep singing the wrong note. I think you are capable of singing the correct note. You may have to sharpen your listening skills and pay more attention. You are recording. Can you hear the same thing on playback that I'm hearing and do you notice the same thing I'm noticing? I'm not trying to be mean. I'm trying to help you to hear what it is that you need to fix, so that you can fix it. That would be way better than for you to not hear it or to not know to listen for it. Can you hear what I'm talking about in all of those "not" notes on Eb instead of E natural? That's the same type of thing you need to fix in your scales... getting that half-step right, wherever it's happening. We have to listen to ourselves AS we are singing, and make corrections on the fly if we aren't spot-on. Sometimes we have to do the critical listening after the fact, by recording our practices all the time, and THEN doing focused, critical listening to help us sharpen our sense of pitch and accuracy. Eventually, if we do this enough, we begin to "hear" the correct pitch in our brains, and our cords instinctively tension to the proper, in-pitch note without thought. Until we reach that stage, we have to compensate by learning to hone these skills, over time. You may need to spend some time on the Basic Pitch exercises to sharpen your sense of pitch accuracy. You sound good when you are on-pitch. You need to improve your accuracy in the areas where you veer off-pitch. This is something that will really help you to improve your singing. Thanks Bob, that's what I meant, that my ability to hear these things is improving. I didn't mean to imply that the new recording is good or that I'm happy with it. You telling me what you hear is very helpful. Yeah there is some disconnection with that NOT word, that's how it sounds to me in the original, but I'll correct it. I didn't listen back to the lah exercises after I recorded it. That's how I usually do them so I wanted to get feedback before I changed anything so the change would be accurate. What are your thoughts on this one? Still working on the last chorus.